Howllo Full Moon Farm Friends! As the summer starts to wind down, my thoughts turn to the changing of the seasons, both figuratively and literally. 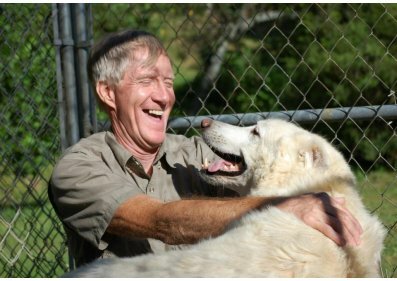 Figuratively, as Full Moon Farm has turned TEN years old, which makes us one of the oldest wolfdog rescues in the country, and from what I have heard, we are the largest now. 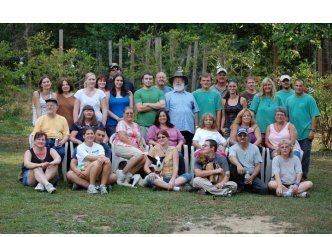 Gone are the days of this being my back yard hobby, as Full Moon Farm is now the passion of many people, volunteers and supporters. Please join us at our 10th Anniversary Pawty on September 1, 2012 to celebrate! Without all of you, we could not have saved the lives of the 73 residents here, and the hundreds of others that have passed through these gates, or lived because I facilitated multi-organization rescues for them. So, if I do not say it often enough, I say it now – THANK YOU ALL! Literally, winter is coming faster than I want to think. Winter on the mountain is hard, and fundraising is hard to do. Our fiscal year ends August 31st, and I am trying to set a budget for the next year, which is very difficult to do. Donations are down, while all other expenses are up. Please consider a donation in honor or memory of a friend or loved one, a gift sponsorship of an animal for a Holiday or Birthday present, or a donation in kind of an item on our Wish List this holiday season. You can Donatevia Paypal, via Facebook on ourFMF on Facebook (Causes Page), mail a check or money order to Full Moon Farm, Inc., P.O. Box 1374, Black Mountain, NC 28711. You can help by using GoodSearch or GoodShop, Igive, or Give Back America, by naming Full Moon Farm as your charity of choice. Please see if your employer has matching funds to charities, as we have benefited from Bank of America, Starbucks and Thrivent for Lutherans to name a few. We are in desperate need of a 4WD truck in good repair. Ours has 252,000 miles and is about to give up the ghost, and the transport van is groaning along with 243,000 miles on it. The engine is having some ‘issues’, so we will be in need of a transport vehicle soon. 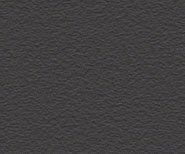 I am pleased to introduce AB Money Matters, LLC as our financial management and bookkeeping service. We are proud to have them come aboard, with their years of non profit experience; we will make a great team. A tip of the hat to Cheryl A. and Cheryl B. We have elected our new Board of Directors for the 09/01/2012 to 08/31/2013 fiscal year, and are pleased to announce that Sara Hallback has accepted the duties of Vice President and Donna Wiedrich is the new Secretary/Treasurer. 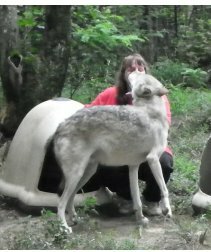 Please join me in a hearty welcome and a big THANK YOU for giving of themselves to help the myth-understood wolfdog. We are always in need of volunteers, committee members and advisory board help. Please contact me if you wish to assist us in our growth. In closing, thank you all for being part of our pack, and as always, if you ever have any questions, please do not hesitate to ask. You may write to me at nancy@fullmoonfarm.org. 10th Anniversary Celebration Howl In Pawty! Join us on the mountain for food, fun, music and wolfdogs! 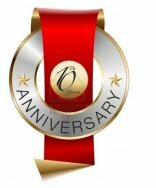 This year we celebrate our 10 years in existence. Come on out and help us celebrate and Pawty down! Aaaarrooww! 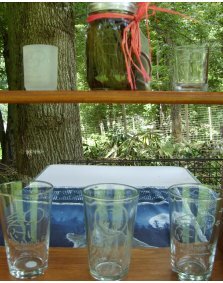 Join us for a special treat featuring music and sound healing by Lily Cascio on the flute and crystal bowls! 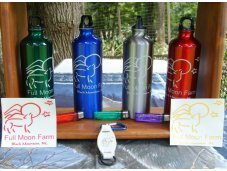 Contact Nancy Brown at 828-664-9818 or email nancy@fullmoonfarm.org for details and directions! 16 miles east of Asheville, NC lies the beautiful little town of Black Mountain. It is surrounded by tall green mountains and cold clear trout streams. Atop one of those mountains, lives a fascinating lady and 74 wolfdogs. I refer to Nancy Brown and Full Moon Farm. It is not a breeding facility or a display zoo, but an animal sanctuary for these misunderstood animals who have ended up here due to mankind’s neglect, ignorance, or brutality. Many people think it would be cool to own a wolf or wolfdog, it is not. They are high maintenance animals, super strong, fast, and highly intelligent. They can eat more than 20 pounds of raw meat, run 15 mph all day, and jump over 8 foot fences. Most will not touch anything with preservatives. They look you directly in the eye and seem to read your every thought. They can spot an arrogant person or a phony a mile away, but on the other hand they love mentally challenged children and both seem to have a therapeutic effect on each other. Each of these amazing animals has an entirely different personality, and may love one person and hate the next for no apparent reason. It is a sobering experience to hug an animal that can kill you with one bite. This facility is run solely by volunteers and gets no funding other than donations. It is always over capacity and short on money, but every animal there gets excellent medical care, a special, but expensive diet, usually a companion or two, and love…something in short supply nowadays. Some of these animals are trained, or rehabilitated by trainers and are adopted out to people with the special talent and time to care for them. Some, because of abuse, will never accept human friendship again and Full Moon Farm respects this, giving them as much privacy as possible high in a wooded area while allowing them to live out the rest of their lives as comfortable as possible. There are only about half dozen of these sanctuaries nationwide and they work together to some extent. Full Moon Farm has 3 or 4 times as many animals as most. Money is always tight but these animals get everything they need. None are ever "put down" except for extreme age or terminal illness. These animals range from nearly pure wolves to nearly pure mutts who would have been killed just for looking “wolfy” if not for these sanctuaries. Regular animal shelters will not adopt these animals out and they would all be killed if not for the compassion of Nancy Brown and Full Moon Farm's dedicated volunteers. Dogs kill about 400 people a year, but wolves and wolfdogs never kill anyone, and are very shy and fearful of humans. I know of only one wolf fatality years ago in Alaska. In places like Chernobyl, Russia, Glacier and Yellowstone parks where the wolves have been reintroduced, they restore nature back to a healthy balance. Thanks to wolf reintroduction, birds, animals and plant life re-establish the natural state thrown out of balance by over-hunting, grazing and farming. With hunters taking the healthiest and biggest trophy animals and nothing to take the small sick and deformed, you soon get herds of just such animals. I urge everyone to visit Full Moon Farm’s website at www.fullmoonfarm.org or the Full Moon Farm Facebook page to see these animals. 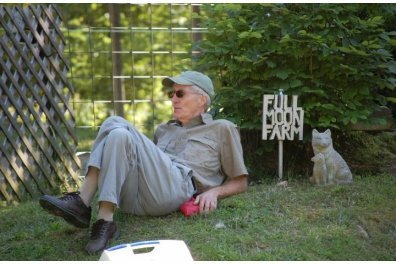 Once a month (April-October) on the first Saturday of the month, Full Moon Farm opens their gates to the public for a "Howl In" and picnic lunch. And on the first Saturday in November they host their annual Howl for the Holidays event also. I was allowed to stay overnight once and to hear them all howl in harmony is an experience I will never forget. 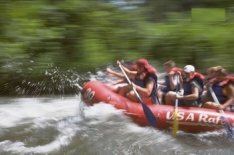 Join us on Sunday, August 26th for Rafting with River! This is a fundraiser for Full Moon Farm and all proceeds go directly to help care for the animals. We will meet at US Raft on 13490 US 25/70 in Marshall at 10:30am. Bring your friends and family! Support Full Moon Farm and meet our Ambassadog River! 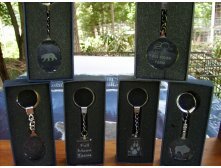 These items are from one of our newest supporters, Glass Scratchers, Custom Engraved Glassware for all Occasions. John and Wendy came all the way down from Ohio to visit with us during our May Howl-In, when we first displayed their splendid handiwork. Enter item description and quantity in the comment area when ordering. This month’s woofer spotlight is Ice Man. Ice Man is ten years old so it is fitting that we honor him as we celebrate our 10 year anniversary. 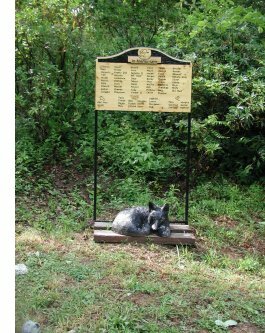 Ice Man, along with Coal, Ashe, Master Gunny and Baby Girl, all came from Raleigh in 2004 when their owner died unexpectedly. At the time, Ashe, Coal, and Master Gunny were fairly young puppies but Ice Man was transferred to another sanctuary. When that situation changed in the spring of 2010, he returned to Full Moon Farm. Ice Man is a total mush and loves attention. He is always happy to come to the fence to get skritches and give kisses. Recently Ice Man has attracted a mega fan. Jerry Collins (see Atop the Mountain article in this issue of our newsletter) has fallen head-over-heels in love with Ice Man. Check out the amazing condo that Jerry built for this very special boy. Jealous? So ar e we! 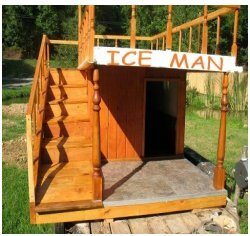 If you would like to help support Ice Man by becoming his sponsor please click here Sponsor Page. 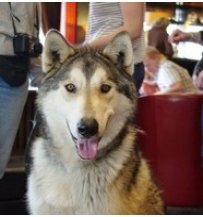 We need many sponsors to support just the food and vet care for one wolfdog! 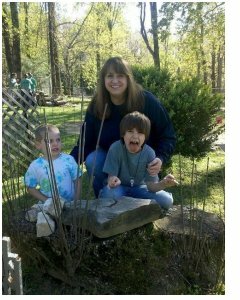 Meet this month's featured volunteer, Donna Wiedrich. 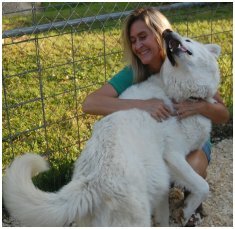 Donna has been volunteering at Full Moon Farm since 2011. She first visited Full Moon Farm in December of 2010 to bring her son Daniel to see the wolfdogs. Daniel is crazy about wolves and wolfdogs and Donna is a passionate wildlife advocate and animal lover. It didn't take long for both of them to fall in love with Full Moon Farm. 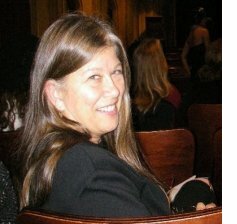 Donna helps with administrative work, she designs event flyers, handles marketing and press releases, helps with events, and recently accepted the board position of Secretary/Treasurer. She has also taken over editing and designing the FMF newsletter effective this issue, a task she loves! Donna also comes out the farm at least twice a week to help with chores and spend time with the animals. She loves each and every woofer but has a special place in her heart for Shylo and we're pretty sure the the feeling is mutual!